Preliminary ProcedureDisconnect the battery negative cable. 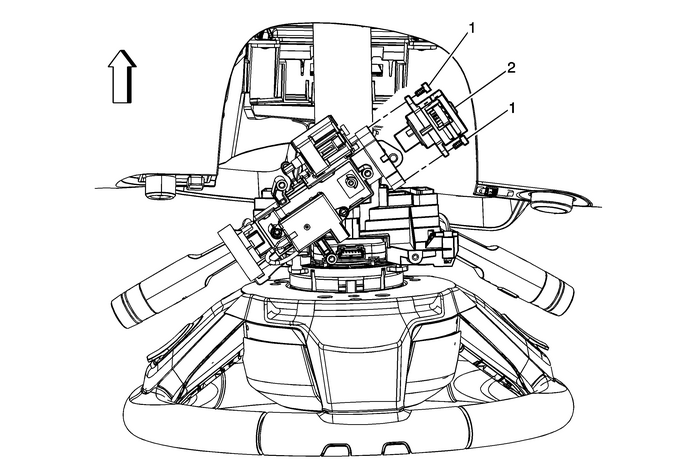 Refer toBattery Negative Cable Disconnection and Connection.Disable the supplemental inflatable restraint (SIR) system.Refer toSIR Disabling and Enabling.Remove the steering column shroud. Refer toSteering Column Shroud Replacement. Disconnect the ignition switch electrical connector.